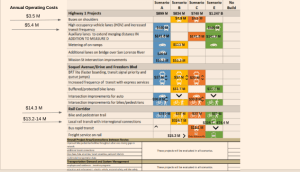 The Unified Corridor Study (UCS) was released in late September of 2018, since its release Business Council Staff has been considering all aspects of the study in order to choose the best possible scenario for the future of Santa Cruz Transportation. 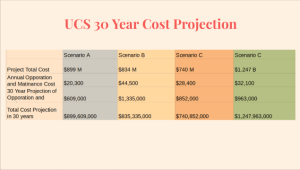 We have created a cheat sheet of the costs of each aspect of the study as well as a 30 year projection. The Business Council Staff report of the whole study is also included below. Both items were made using the numbers included in Kimley-Horn projections.